Merry Christmas. Happy Holidays. Season’s Greetings. Your wishes may be traditional, but your gift can be unexpected and exceptional. 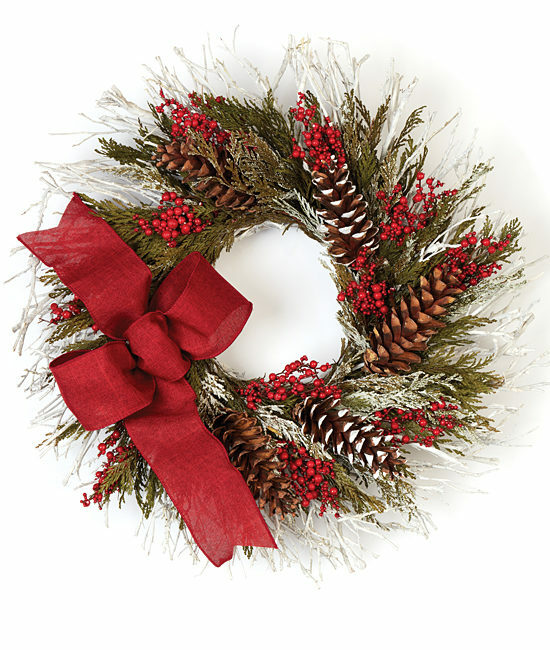 A fascinating example of quintessential meets creative, our gleeful 18-inch wreath starts with sprigs of white birch and natural cedar dusted with white, with pinecones and red hypericum berries scattered throughout. A big red bow wraps this present up wonderfully.